Expect an unforgettable evening of music, ceremony, theatre and dance with reserved seats for the Royal Edinburgh Military Tattoo on July 25 to August 15 departures. Step back in time to the castle’s glory days, when the Brodie family were one of Scotland’s most prominent families. This oldest continuously inhabited castle in Scotland has been the stronghold of the Chiefs of MacLeod for nearly 800 years, surviving clan battles and profound social and political changes. Within Dunvegan’s stately halls are priceless heirlooms, some of which have descended through the hands of the Chiefs of MacLeod since medieval times. This iconic castle is surrounded by majestic scenery. The first fortified castle was built in the mid 13th century and re-built through the centuries. Partially destroyed in a Jacobite uprising in 1719, Eilean Donan lay in ruins for the best part of 200 years. It took 20 years to restore from 1912 until its opening to the public in 1932. Stirling Castle is a great symbol of Scottish independence and a source of national pride. The Castle's long, turbulent history is associated with great figures from Scotland’s past such as “Braveheart” William Wallace & Mary Queen of Scots. 9 breakfasts (B) and 8 dinners (D) including a festive Scottish evening in Edinburgh. 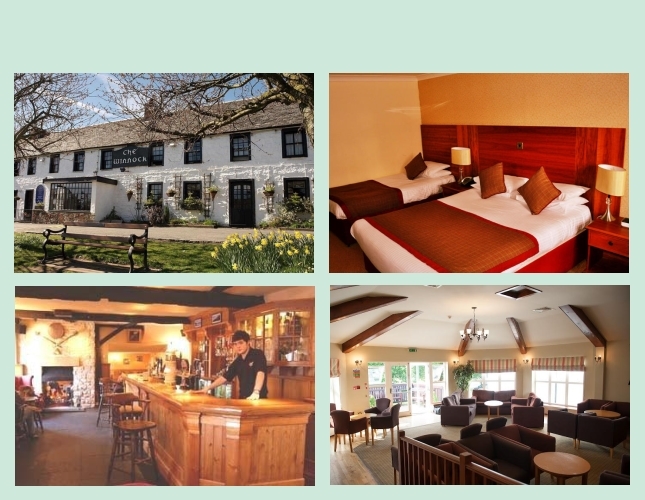 Picture yourself soaking up the atmosphere of this 18th century Inn near Loch Lomond, sitting beside the roaring log fire whilst planning your day's exploration of the surrounding beautiful Trossachs countryside with many castles, gardens and city attractions within easy reach. 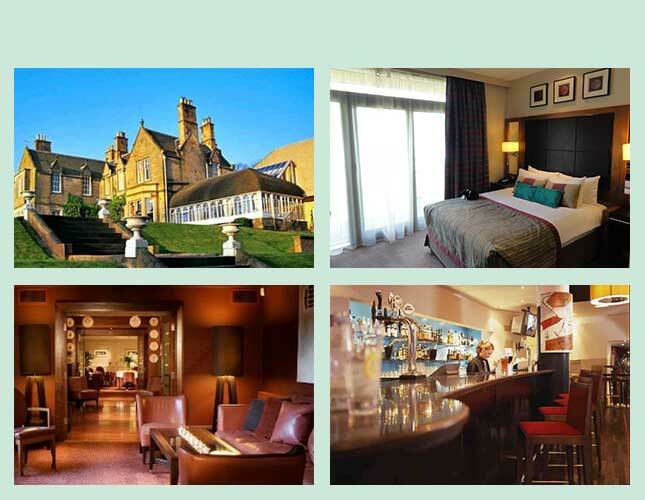 This hotel is located on the banks of the River Ness, a 3-minute walk from Inverness city centre. Accommodation is divided between four charming Victorian townhouses, with many rooms offering wonderful views across the river to the cathedral and Eden Court Theatre. Nico's Seafood & Grill House offers a variety of local, fresh and seasonal dishes. Drinks, including an extensive whisky collection, are served in the bar. Free Wi-Fi is provided. This Victorian mansion was built in 1840 on 55 Acres of parkland and gardens. 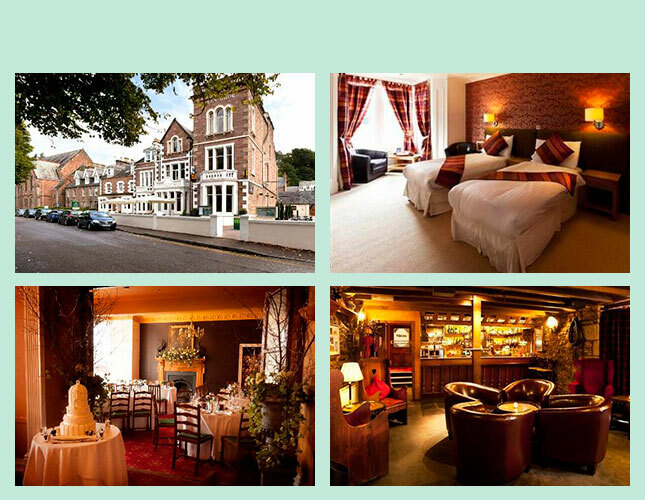 The hotel offers 83 luxury bedrooms with satellite TV/DVD player and a minibar. Ushers Restaurant offers fine dining and specialty wines in elegant surroundings. The Brasserie offers traditional British cuisine, and The Glass Lounge serves classic cocktails and afternoon teas. Guests can relax in the sauna, steam room or hydrotherapy pool in the luxurious spa. Edinburgh is a 20 minute drive, and Edinburgh Airport is 3 miles away. Tour begins at 2:00 PM at your Drymen hotel, 20 miles north of Glasgow. 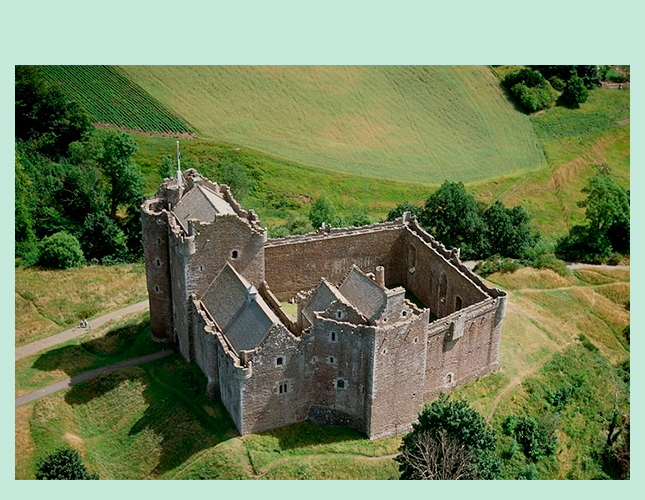 Visit Doune Castle, which has been featured in “Game of Thrones” and “Outlander.” Enjoy free time in Callander and a drive through the Trossachs region, often called “Scotland in Miniature” as all aspects of delightful Scottish scenery are found here. Enjoy a welcome drink with your group before dinner. 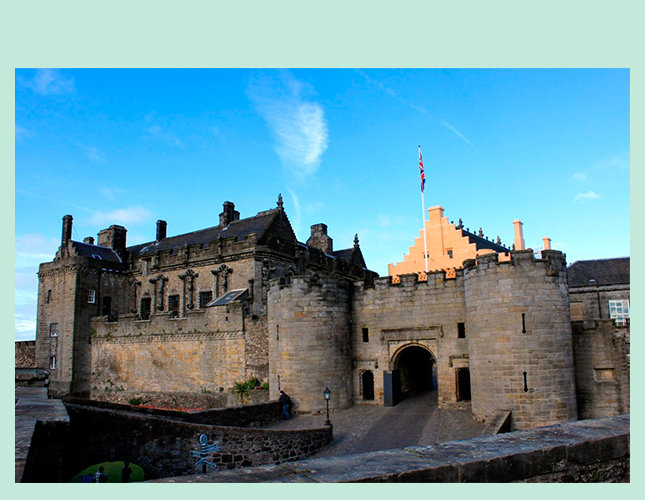 Visit Stirling Castle, a mighty stronghold that dominates the surrounding plain, before some free time on your own for lunch. Tour the Battle of Bannockburn Visitor Centre to learn about medieval weapons and armour, walk the real battlefield where Scottish King Robert the Bruce defeated English troops, and enjoy a thrilling 3D battle show. Head into the majestic Highlands and journey by Loch Lomond, across Rannoch Moor and through Glencoe, often considered one of Scotland’s most spectacular and beautiful places. Stop for photo opportunities along the route. 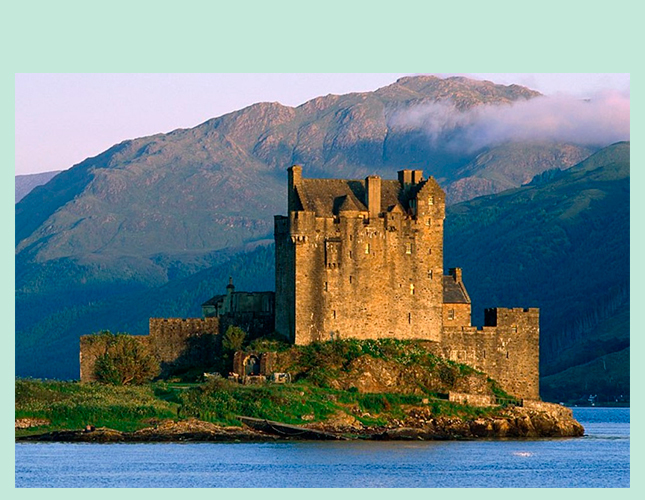 Treat yourself to Scottish goods at a woollen mill and continue your journey north to the romantic Eilean Donan Castle. Explore the Isle of Skye and learn the history of Bonnie Prince Charlie. 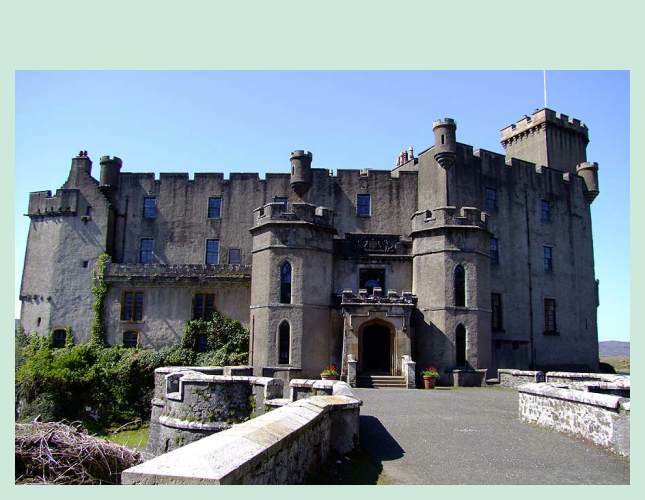 Travel to Dunvegan Castle, the oldest continuously inhabited castle in Scotland. Admire the Trotternish Peninsula as you travel to Kilt Rock, a 200-foot-high sea cliff with huge, vertical basalt columns. Visit Flora MacDonald’s grave in Kilmuir Graveyard and stop in Portree for free time. Discover the history of the Lords of the Isles at the Clan Donald Centre at Armadale Castle. 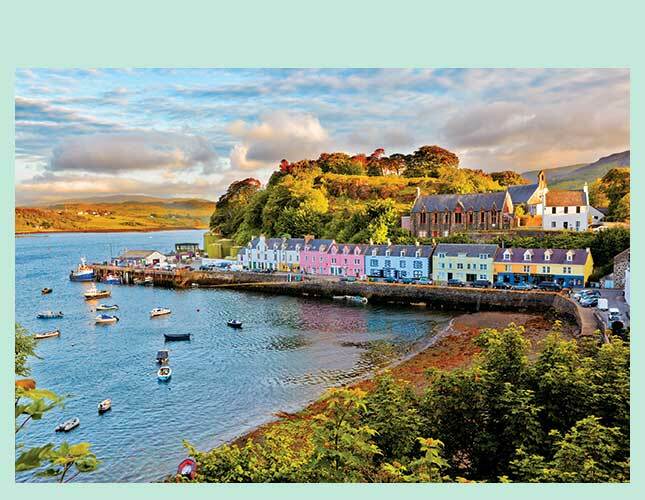 Embark on a ferry ride to Mallaig and transfer to a steam train for a ride through some of Scotland’s most picturesque scenery. The Jacobite Steam Train crosses the 21-arched Glenfinnan Viaduct, which was featured in some of the Harry Potter movies. 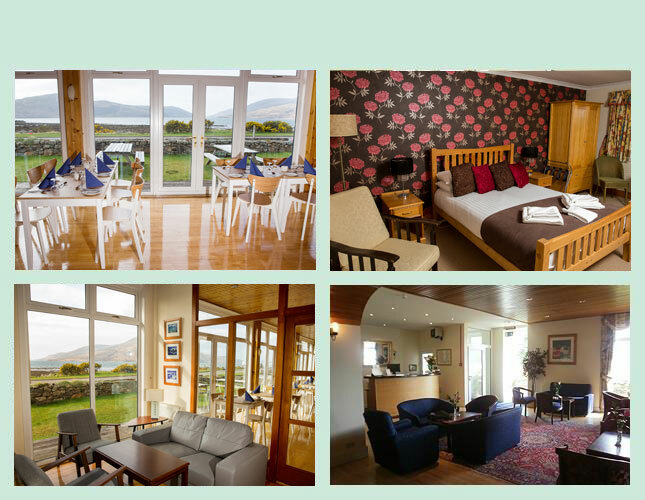 Travel from Fort William to your hotel in Inverness. Photo opportunities await as you visit the picturesque ruins of Urquhart Castle, once Scotland’s largest castle, and embark on a cruise of Loch Ness. 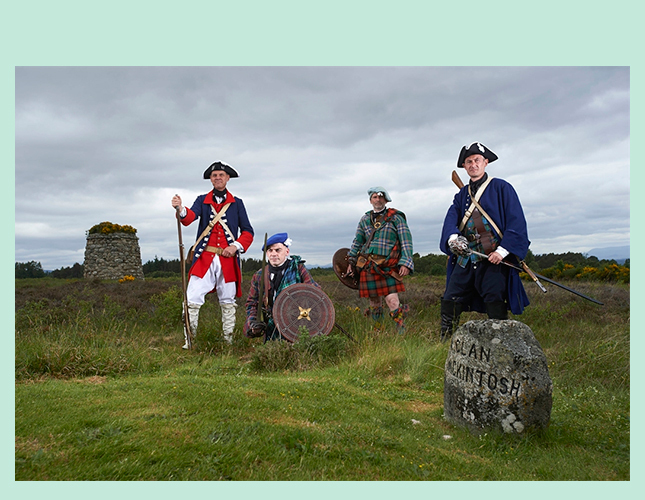 Stop at the Culloden Battlefield Visitor Centre to discover how British Government forces defeated the army of Bonnie Prince Charlie, ending the Jacobite rising. Return to Inverness for dinner and an evening walking tour. See where many Speyside distilleries are based close to the pure water of the River Spey. . Tour Glen Grant Distillery and sample a "wee dram of whisky." Tour Johnstons of Elgin to discover the history and craftsmanship behind their fine woollens. 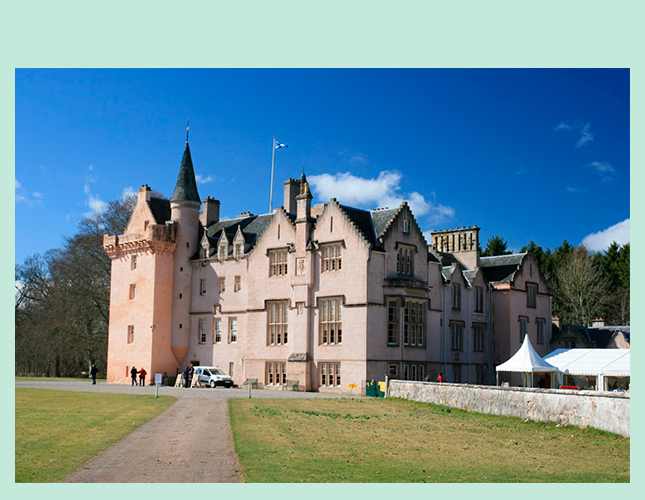 Explore 16th-century Brodie Castle, set in spacious grounds with its fairytale towers and turrets. The house contains fine furnishings, a collection of paintings, and a library with over 6,000 volumes. Return to Inverness and relax before dinner at your hotel. Immerse yourself in farm life and enjoy a demonstration where dogs obey commands to round up sheep. In Pitlochry, explore and have lunch independently. Continue to Culross for a walking tour around the charming 16th-century town, recently used as a filming location for “Outlander.” Highlights include the Town House, Culross Palace, and the remains of Culross Abbey. Enjoy free time in Culross before heading to Edinburgh for a Scottish evening with a farewell dinner and traditional entertainment. In Edinburgh, see how the medieval townhouses along the Royal Mile in the heart of the Old Town are in stark contrast to the Georgian mansions of the 200-year-old New Town. Tour the impressive Palace of Holyroodhouse, the official Scottish residence of the Queen, and walk through the majestically furnished chambers. The rest of the day is free. July 25th to August 15th departures enjoy the Royal Edinburgh Military Tattoo at the Castle Esplanade.